I need to admit that every time that I see a news coming from Franz Ferdinand I get excited enough to forget that i hated their 3rd album “Tonight: Franz Ferdinand” which I consider a step back vs. their first 2 albums that in my humble opinion can easily compete for the best 20 albums of the first decade of the new millennium. Today on Electric Thursday we share 2 news songs that the band has posted on youtube as appetizer for the forthcoming 4th album “Right Thoughts, Right Words, Right Action today” due for release later in the year. 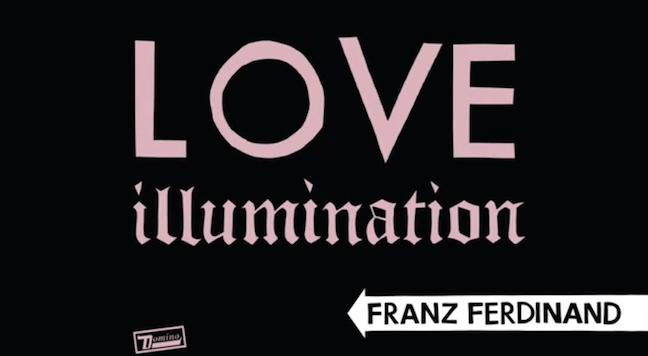 The 2 songs are called of this double A single are: “Right Action” and “Love Illumination” and they still show some dance-rock influences closer to their last 3rd album. Don’t forget to buy your tickets for their concert on August 24th @ Pully For Noise festival near Lausanne! Hey Hey, My My, take me out on this Electric Thursday!